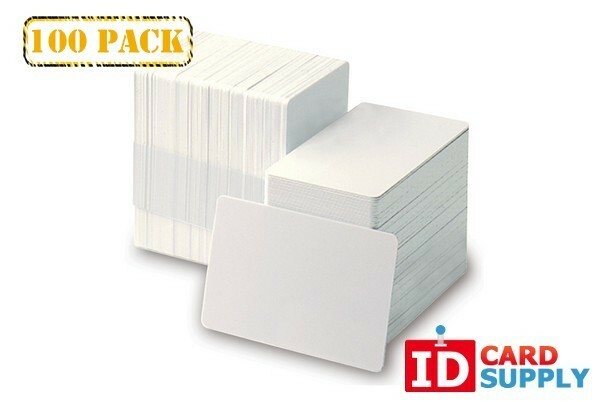 This pack of white standard size (CR80) PVC Graphics quality cards are bundled and sealed into a pack of 100 cards for your convenience. They are the gold standard of PVC cards and 30 mil thick (standard thickness). Quantity discounts and several colors are also available if you choose.